Our assembly hall — dom in Russian. Entry leads to 2 floors. South lot is graded smooth. 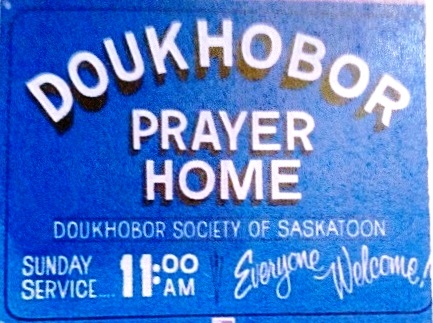 The Doukhobor Society of Saskatoon (DSS) was established in early 1955 and later the same year built a new community centre — prayer home — at 525 Avenue I South. It is both a registered non-profit corporation (incorporation date: January 24, 1955) and a Saskatchewan charitable corporation. It operates under The Saskatchewan Non-profit Corporations Act, S.S. 1995 (formerly The Benevolent Societies Act). The Society is governed by a Board of Trustees and advised by a group of Elders, as outlined in its By-Laws. It holds regular Sunday meetings from September through June and hosts special gatherings to commemorate historical events (e.g., Peter’s Day) and celebrate holidays, such as Christmas, Easter, Mothers’ and Fathers’ Day, etc. There is an active singing group that helps lead Sunday meetings and is also available to sing at funerals and weddings. Each year, as a major fundraiser, the Society bakes and sells bread in traditional clay-brick ovens at the Doukhobor Bread Booth. More at: Our Story, Facebook, October 10, 2018. 1955 February — Saskatoon Doukhobor Society Gets Charter, The Inquirer, Vol. 2, no. 1, page 18. News From Sask. — The Doukhobor Society of Saskatoon [DSS] has received its charter under the Saskatchewan Benevolent Societies Act. The first trustees are: Alvin N. Meakin, Michael N. Postnikoff, John K. Tarasoff, Alex W. Vereschagin, and William P. Sherstobitoff. 1955 November — Society Holds Ceremony in Prelude to Building a Home, The Inquirer, Vol. 2, no. 10, page 18. News From Sask. — The Doukhobor Society of Saskatoon held a prayer ceremony before building a Community Home. Koozma Tarasoff, Sr. turned the first sod. 1956 February — Society Holds Annual Meeting, The Inquirer, Vol. 3, no. 1, page 27. News From Sask. — First annual meeting of the registered Doukhobor Society of Saskatoon was held at their newly built Doukhobor Home. Peter N. Postnikoff, Chairman. John F. Papove, sec. treas. 1956 July — Doukhobors Contribute to Pion-Era Celebrations, The Inquirer, Vol. 3, no. 6, page 20. News From Sask. 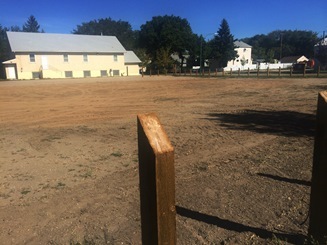 by Inquirer — The Saskatoon Doukhobor Society built a pioneer log house, baked bread in brick and clay ovens and held sheep shearing demonstrations at the Pion-Era in July. A great success. 1957 July — 3,200 Loaves of Bread Baked at Pion-Era Celebrations, The Inquirer, Vol. 4, no. 5b, page 8. News From Sask. 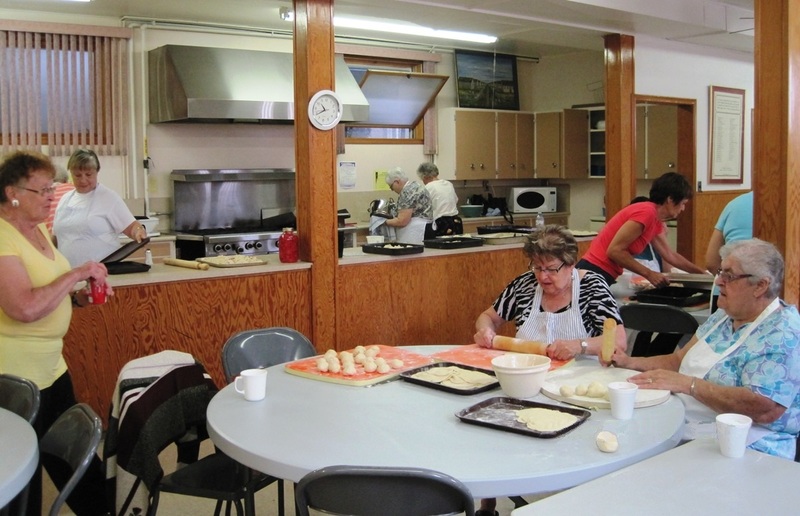 — For the third consecutive year the Saskatoon Doukhobor Society contributed to the local Pion-Era celebration with bread-baking and demonstrations of carding and spinning wool. 1957 November — First Tea and Sale in Community Home Termed 'Very Successful', The Inquirer, Vol. 4, no. 9, page 7. News From Sask. — The Saskatoon Doukhobor Ladies' Society held its first tea and sale in the new community home. 2000 February 28 — Eight volunteers to be honoured by Provincial Medal, Government of Saskatchewan. University of Saskatchewan College of Education Leadership Unit, where after retirement as a consultant he wrote an Education Act for Indian Band Schools. The Stushnoff Family History: Kirilowka and Beyond, by Fred and Brian Stushnoff, 2003. Reproduced on the Doukhobor Genealogy Website. "George P. Stushnoff (1922-2001) exemplified the Doukhobor ideals of toil and peaceful life. Chairman of the Saskatoon Doukhobor Society and the Doukhobor Cultural Society of Saskatchewan for many years, George strove to preserve and share the Doukhobor way of life, and to promote inter-cultural harmony in his community." 2005 May 9 — 2005 Centennial Events: National Doukhobor Heritage Museum, Veregin, SK, Doukhobor Message Board. 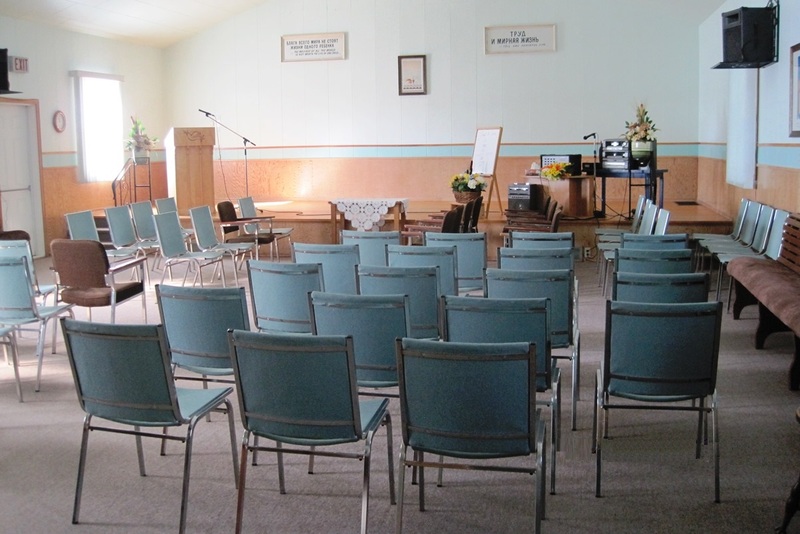 "Sunday, May 29, 2005: Molenye (prayer meeting) at 11:00 a.m. led by the Saskatoon Doukhobor Society." 2007 July 11 — Doukhobor Dugout House Unveils Monument Commemorating Oospenia Spring, Doukhobor Genealogy Website. "... a historic plough-pulling re-enactment by twelve Doukhobor women belonging to the Saskatoon Doukhobor Society." 2007 December 8-9 — Messages to the Saskatoon Doukhobor Society, by Koozma J. Tarasoff, Spirit-Wrestlers.com. Re: Annual Meeting December 8th, 2007, Doukhobor Peace Library and Museum. 2009 April 3 — National Doukhobor Heritage Village Reflects on a Busy 2008 Season, Upcoming Events for 2009, Doukhobor Message Board. 2009 June 8 — Sell Doukhobor Land in Saskatoon? Questions & Answers, Comments, Spirit-Wrestlers.com. 2009 June 19 — Dugout House set [to] open with 'Laying down of arms', Shellbrook Chronicle, page 15. "The cast was made up of members of Doukhobor descendents from across the region with the bulk belonging to the Saskatoon Doukhobor Society." 2009 December — DSS Elder's Report, by Mae Popoff. 2010 January 16 — Doukhobors greet Olympic torch runners, by Mae Popoff, Spirit-Wrestlers.com. 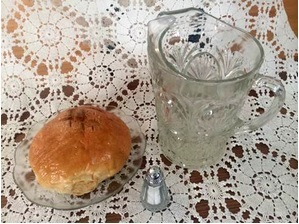 Blaine Lake Doukhobors present bread, salt and water, then borsch. Collections of news excerpts mentioning Doukhobors, with photos and maps. 2010 January 18 — Saskatoon Reflections 2010. DOVE Newsletter. Year-end review by Mae Popoff. 2011 June — Opening of the National Doukhobor Heritage Village, Report with 4 photos by Mae Popoff. 2011 August 14 — 800 Loaves of Doukhobor Bread Sold / Day, by K.J. Tarasoff, photos by Mae Popoff. Spirit-Wrestlers Blog. 60 volunteers bake and sell the 5,000 loaves produced at Saskatoon Exhibition. Interviewed: named: Bill Kalmakoff, John Tarasoff, Peter Holoboff, and Doreen Konkin. 2013 August 11 — Bread a big ticket item at Saskatoon’s Ex : The Doukhobor society makes about 1,000 daily for the week, News Talk Radio 650 CKOM — 8 photos — Original story offline. Link to Archive.org with 3 photos. 2017 March 20 — Kamsack Doukhobor Society sells its prayer home, Kamsack Times. 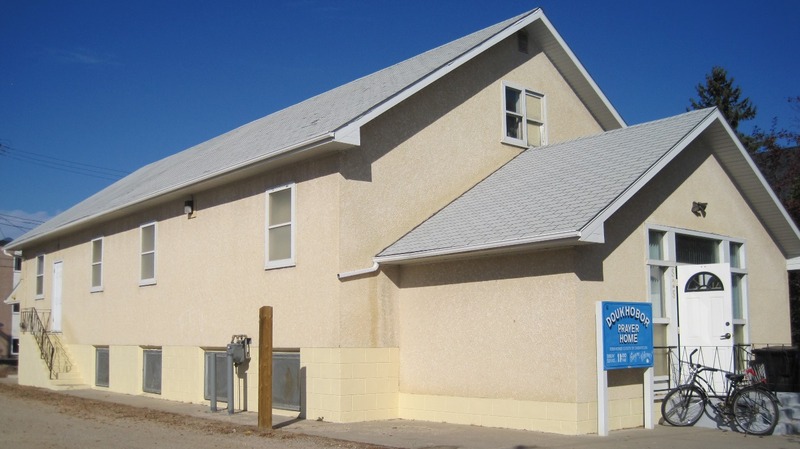 2017 March 22 — Kamsack dom sold for yoga, Spirit-Wrestlers Blog. — Koozma Tarasoff objects that word 'prayer' was used 7 times. 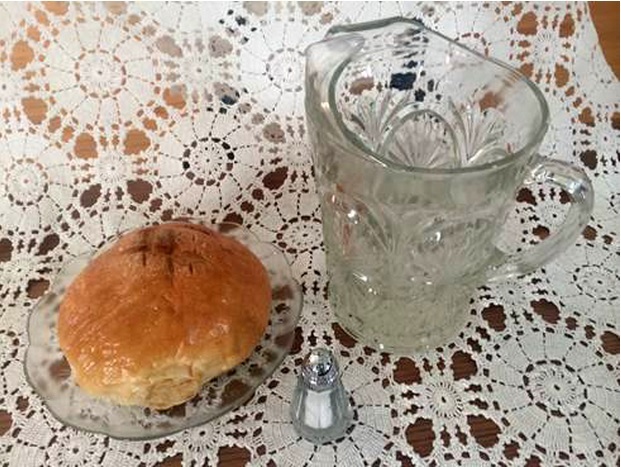 2013 August 13 — Baking Bread the Doukhobor Way, story and videos by Ryan Androsoff. Excellent overview of bread baking booth in 3 short videos and 2 photos. 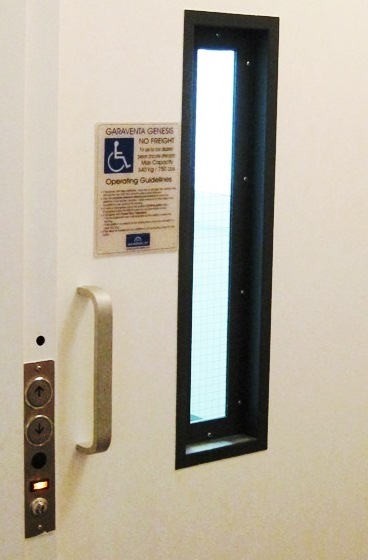 Saskatoon Prayer Home has elevator installed, making it more accessible for those with physical limitations and also making it easier to haul heavier items between levels. 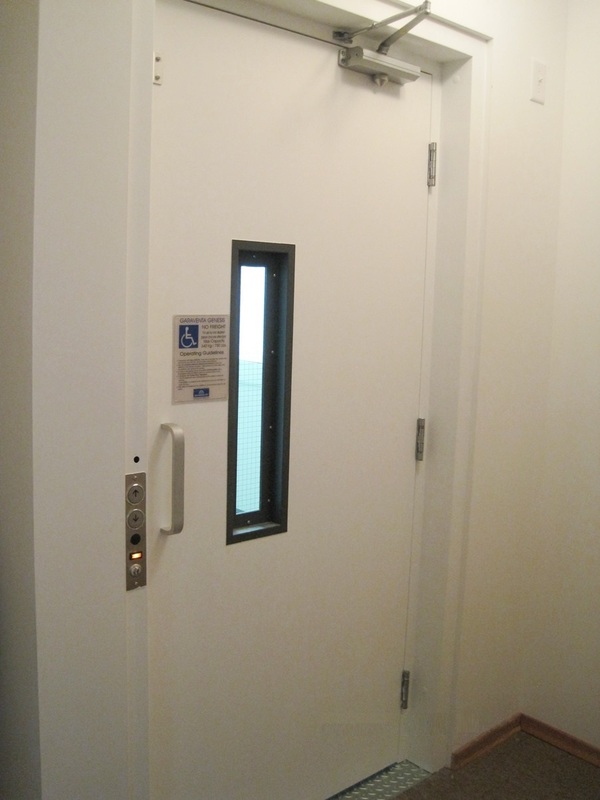 The elevator goes from the entrance level up to the meeting level and down to the kitchen/social area in the basement. Plans are in the works to build a permanent ramp on the exterior of the building to further improve accessibility. 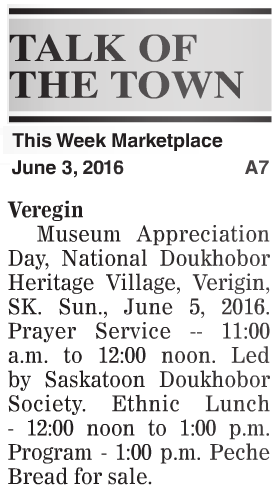 Canada 150 / Historic Prayer Home 100 years, National Doukhobor Heritage Village Inc., Veregin, Saskatchewan. Celebrate Canada’s 150th birthday and commemorate 100 years of our Historic Prayer Home. The Saskatoon Prayer Home drew a full house of almost 120 people, from Saskatoon and surrounding areas, to commemorate our Doukhobor ancestors’ stand for peace and religious freedom, known as the Burning of the Arms, in 1895 in Russia; this was a key step towards leaving Russia and coming to Canada to re-establish their peaceful lives and communities in a promising new land. The traditional June 29th meeting was followed by a delicious meal, provided the Society. Thanks to everyone to who joined us for this special day and helped make it such a rewarding experience for all. 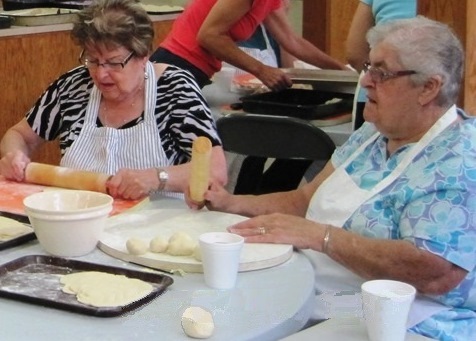 The Saskatoon Doukhobor Society again undertook its main annual fund-raising initiative – bread-baking at the Saskatoon Prairieland Exhibition. The Doukhobor Bread Booth sells "Doukhobor bread" (white and brown) by the slice or loaf, which is baked in our three traditional clay ovens. We had another successful year, producing about 3,500 loaves. Many who stop at the booth say this is a “must” for them at the Ex each year! We are grateful to all our supporters, workers and volunteers who continue to make this event possible and productive each year. If you are interested in helping out in future, please let us know by contacting a board member or elder. Any and all are welcome to participate – it’s a great opportunity to do something a little different and to connect with both old and new acquaintances. Photos and reports on August 8 and 11. Members of the Doukhobor Society of Saskatoon travel to Sundre, Alberta to participate in a special Doukhobor gathering and meeting hosted by the Calgary Society at the home of Annie Barnes and family. Everyone is welcome. Come and join in a traditional Doukhobor meeting, with its beautiful singing and prayers, and an inspirational Elder’s message. Enjoy the spiritual time and the fellowship with others committed to Doukhobor principles. 2015 January 11, Sundays, 11 am – Meeings resume after the Christmas break. Potluck lunch.after the first meeting of each month. Everyone is welcome. 2015 March 8, Sunday, 12 Noon — Pancake Brunch after Sunday meeting, $10/person – Annual fundraiser for the Saskatoon Kinsmen Telemiracle 39, an annual telethon (March 7-8 this year) organized by the Kinsmen and Kinettes to help provide Saskatchewan people and organizations with special needs access to equipment and medical assistance. See: DSS Telemiracle Fund-Raiser, photo-report by June Bold, 11 March 2015. 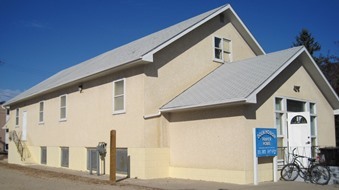 Place: Saskatoon Prayer Home (525 Avenue I South). Theme : “Remembering the Past – Planning for the Future”. Registration ; $35/person (children free), which includes the supper (pay at the door). Open to everyone. by Wednesday, March 11, if you will be attending. 2015 March 20, Friday, 7 pm — “When the Movies Go To War... and Seldom Give Peace a Chance” - A presentation by film critic Dr. Gerald J. Schmitz (Biography, page 35) at Fr. O’Donnell Auditorium at St. Thomas More College (STM), 1437 College Drive on the University of Saskatchewan campus, sponsored by STM and the Saskatoon Peace Coalition (Facebook). Free Admission. 2015 April 12, Sunday — Pot Luck lunch to follow regular Prayer Meeting. NOTE: The Pot Luck lunch has been moved to the second Sunday of the month ONLY FOR THE MONTH OF APRIL. After the April 12th meeting and potluck lunch, we will take some time to seek members’ input about our 60th anniversary plans. Please join us to share your ideas and let us know about any special history, photos or memorabilia you may have to share. Saskatoon will be joining the Blaine Lake Doukhobor Society for Peter’s Day on June 21st this year – earlier than usual since many Saskatchewan members will be attending Alberta’s centennial celebrations on June 28th (see below). The Saskatoon and Blaine Lake Societies normally alternate years and it is Blaine Lake turn this year; everyone is welcome. The event begins at 11:00 a.m. with prayer meeting, a program and lunch. Many of our Saskatoon members will be traveling to Lundbreck, Alberta for the 100th anniversary of the Cowley-Lundbreck Doukhobor settlements. 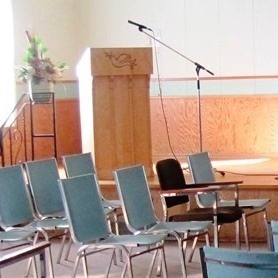 The Cowley-Lundbreck Doukhobor Society invite their Saskatchewan brothers and sisters to join them for this special event, being held in conjunction with their Peter’s Day. Location: United Doukhobors of Alberta Cowley-Lundbreck Prayer Home in Lundbreck. The program will include a prayer meeting (moleniye), speeches, and a potluck lunch. For more information or to RSVP, contact: Alex Kabatoff, phone: 403-510-1944 or email: akabatoff@gmail.com. RSVP’s appreciated by June 1st. 1 pm — Program: Speakers, singing, visiting, history and fashion displays. Doukhobors’ contributions to the local area and culture. The Society plans to contact descendants of the founding members and ask them to participate, as well as all who have been part of our Society over the years. Plans are still evolving and the Board would appreciate hearing your ideas for celebrating our beginnings – the establishment of our Society (January 1955), the building of our Prayer Home (Fall 1955), and the beginning of our bread-baking initiative. We look forward to hearing from you and to see you at our September 6th celebration. Please watch for further information through our emails, on our web page here, and in The Dove publication. 2015 November 1, Sunday, 11:00 am — Prayer Meeting, 1 pm — Potluck Lunch — Pay Annual Dues. 2015 November 22, Sunday — No meeting in Saskatoon. Go to Blaine Lake. Salvation Army — Collecting donations (food, toys, money) Donation box in entry hall. Give cash or cheques to Treasurer. 2016 May 29, Sunday, 1 pm — Potluck after meeting. Last potluck before summer. 2016 June 5, Sunday, 11 am — No meeting in Saskatoon. Go to Verigin. Joint meeting with Blaine Lake Society. 2016 August 9-14 — Bread-baking at Saskatoon Prairieland Exhibition. $15/person, $5/child 6-10 yrs, kids <6 yrs-free. 2017 November 12 — Prayer Meeting CANCELLED this Sunday. The Choir has been asked to sing at the funeral of a long-time Society and Choir member. Individual AGM notices and 2017-18 membership levy notices mailed. Dues remain $40/person; this includes the DOVE, published by DCSS. 2017 December 10 — 11 am — Meets at Blaine Lake as guests for their Christmas Meeting & Potluck. No meeting in Saskatoon. University of Saskatchewan, 118 Science Place. funds equipment for the disabled. Honorary Lifetime Memberships will be presented to members who turned 80 years old in 2017. DSS choir mentored the actors to sing in Russian. 3 to 5 pm -- Global Peace Prayers 2018, sponsored by the Sri Sathya Sai Baba Centre of Saskatoon (Facebook), St. Martin’s United Church, 2617 Clarence Ave. S. Program 3 pm, singers arrive at 2:45 pm. Followed by a vegetarian supper. 2018 November 16-17, Friday-Saturday, 9 am — Pirogi making, 105 dozen (1260). Need volunteers and fruit. 2018-19 Membership Dues (Nov. 1, 2018 to Oct. 31, 2019). $40 pay to "Doukhobor Society of Saskatoon" by mail or in person to Treasurer June Bold. Only members can vote at AGM. Future of Bread-Baking — We can continue Bread-Baking Booth as is, but building is deteriorating; staffing is difficult; rising costs reduce profits each year. Should we do all fund-raising only at our dom? Important discussion. Vicki Obetkoff (Minister, United Church of Canada) presenting "The Power of Prayer"
Fundraiser for Kinsmen Telemiracle #43. Tickets: $10/ person at door; kids <6yr free. Honorary Lifetime Memberships presented to members now over 80 years old.